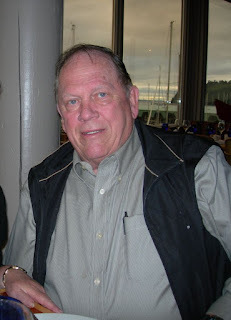 News has reached our group with the passing of retired Western/Delta pilot Captain Carl LeRoy Poschwatta, age 81. Captain Poschwatta joined Western Airlines 01-09-1967 and retired with Delta Air Lines in 1997, based 030/LAX. He is survived by his wife Carol plus many dear family members and close friends. 17620 SE 295th St., Kent WA 98042-5711. Carl was born February 5, 1937, Albany, Oregon to Carl C. and Opal Poschwatta, and died on March 29, 2018 in Covington, WA. He was a beloved husband, father, grandfather, brother, uncle, great grandfather, and friend to so many. A Celebration of Life service will be held at 37256 204th Ave. SE, Auburn, WA 98033, at Evergreen Sky Ranch hangar, April 21, 2018 from 2:00PM - 4:00PM. Donations can be made to the Puget Sound Antique Airplane Club scholarship fund (PSAAC, PO Box 731369, Puyallup, WA 98373). Today at 10.48 am I lost one of my dearest friends, Captain Carl Poschwatta went that a way. A better man there never was. Will let you know of the arrangements when I know something. Just a note the family is going to plan a memorial for Posh at a later date. I will give you all the details so we can all attend.